A global leader in aviation, Jetex is recognized for delivering flexible, best-in-class flight support solutions worldwide. Major governmental and military entities depend on Jetex to serve their regional and international missions with confidentiality and zeal, providing timely supplies to critical operations wherever and whenever required. Jetex’s expertise includes ground support and fuel uplift coordination for relief flights in war-torn or disaster-stricken countries, particularly in hard-to-access locations in Africa, Middle East and Asia. In addition, the company provides VIP operations and routine flights for both NATO and non-NATO members around the world. 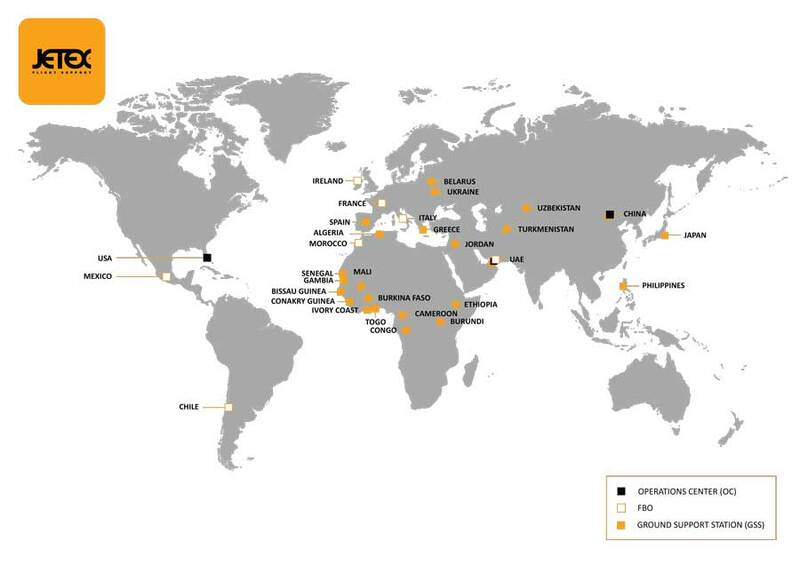 The company operates an extensive global network, with FBOs and ground handling stations in more than 30 countries. Global operations are coordinated from its three state-of-the-art operations centers, strategically located in Miami, Dubai and Beijing. Jetex maintains its position at the cutting edge of the aviation industry through continuous investment in the latest equipment and technologies. A strong focus is also placed on the development of its global network of over 500 ground handling and fuel suppliers, ensuring consistent quality of service provided across all locations. The flagship Jetex FBO Terminal in Dubai is the only FBO in the entire MENA region to be both IS-BAH and Safety 1st certified a reflection of the impeccable standards of service delivered. The cornerstone of Jetex’s services is dependability. The company’s dedicated operations team was established by former military personnel, underscoring its solid knowledge of the military nuances and requirements necessary to support your mission. Jetex maintains strong connections within the aviation industry, and is a founding member of MEBAA, a strategic member of IATA, NBAA, EBACE and a frequent contributor and sponsor of outreach programs. Jetex coordinates ad hoc and large-scale humanitarian relief flight operations for the United Nations, governments, international NGOs and other aid providers. The company prides itself on its ability to react rapidly to emergency situations, contributing to a speedy and efficient response. Jetex specializes in setting up time-critical flights outside of normal working hours. This flexibility, coupled with extensive global coverage, helps enable aid providers to respond to a crisis anywhere in the world. Over the past decade, many high-profile emergency airlifts have involved Jetex chartered aircraft. The company’s activities have included supporting the response to the Asian Tsunami, assisting emergency response for earthquakes in Pakistan and Haiti, and flying humanitarian missions throughout Africa. The Jetex team can create air bridges when needed, set up strategic freight hubs in crisis-affected regions, and transport urgent supplies directly to where they are most required. Helicopters can be arranged to reach remote mountain villages in the aftermath of an earthquake, or for dropping food and other aid directly into famine-hit areas. The company’s expertise extends to passenger movements. Previous missions have included evacuating NGO personnel and civilians from war zones around the world, providing executive charter services for officials conducting urgent diplomatic tours and fact-finding missions, and flying search and rescue (SAR) teams with dogs and specialized equipment into disaster-stricken locations. Timely response to major environmental disasters is critical. Jetex is the chosen partner of a number of organizations who work to contain the effects of oil spills, and control the risk these pose to marine life and coastlines. Its strategic hubs in the USA, Europe, the Middle East and Asia are located where many of these response groups are headquartered, providing them with an essential round-the-clock service and immediate access to cargo and passenger aircraft worldwide. This allows disaster response teams to operate internationally with minimal response time, helping to reduce the impact of such incidents at the earliest possible opportunity. Jetex also works with ship savers, offshore operators and other related organizations.